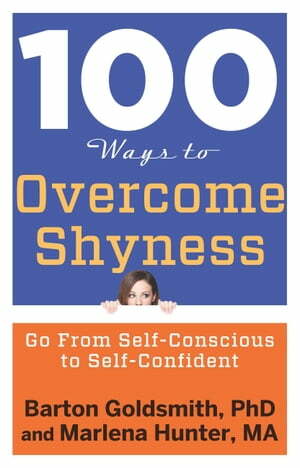 Collins Booksellers - 100 Ways to Overcome Shyness by Barton Goldsmith, PhD & Marlena Hunter, MA, 9781601633835. Buy this book online. 100 Ways to Overcome Shyness is a powerful collection of useful information, case studies, and exercises on how to manage your shyness so you can communicate with people you don’t know very well (or at all) in a wide range of personal and professional settings and circumstances. Easy-to-use conversation starters are interspersed with lists and exercises throughout the book. There are also chapters on getting out of awkward conversations graciously, plus valuable tips and insights for those with social anxiety or on the Autism spectrum on how to deal with their particular type of shyness. Each chapter also contains talking points to give you springboards for discussion. If you feel your shyness has held you back and prevented you from living a full life, 100 Ways to Overcome Shyness will give you the tools you need to change your life, once and for all.